Did you ever wonder how the skinny rail tracks do not get crushed under the weight, speed and impact of a train? It is because they are strengthened with heat treatment to withstand extreme pressure and wear. Heat treatment is an ancient method used by blacksmiths to mold metal. At SST, we have offered precision-controlled metal heat treating services for over 60 years. We provide a variety of processes in a myriad of industries for parts small and large that travel through earth, water and space. How Do Our Metal Heat Treating Services Work? Case hardening strengthens the surface of steel while maintaining a softer core. In this process, carbon is diffused into the material through various means, such as gas carburize, gas nitride, vacuum carburize and carbonitride. By utilizing an interplay of gases, air and vacuum, the surface of the metal is hardened and made corrosion resistant. The vacuum treatment protects the surface of metal by application of a pressure vacuum to austenitize metal after high heat. 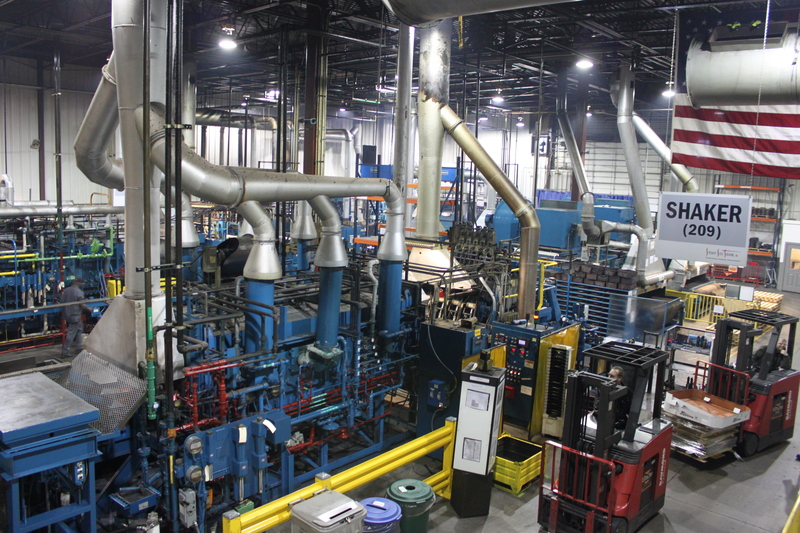 This cost-effective process allows for lower gas consumption and short carburizing and processing cycles. Quenching heat treatment enhances the mechanical properties and durability of a metal. The steel is heated above its upper critical temperature limits and then quickly cooled with the help of elements like oil, water, gas or molten salt, which cool at different speeds and produce varying levels of hardness. The method of quenching heat treatment is chosen based on the type of steel, which then is aged, stress relieved or tempered for stability and internal stress reduction. Tempering reduces the brittleness of steel, making it more suitable for applications. The steel is heated below the transformation temperature threshold for a certain amount of time, depending on the alloy and desired performance, and then cooled. Tempering enhances ductility and reduces hardness. Cryogenic hardening treats the metal to extremely cool temperatures – around -300°F – using liquid nitrogen to fully eliminate austenite and reduce thermal stress. It also makes the material corrosion resistant. Annealing heat treatment is used to make metals more pliable by heating them to a specific temperature followed by slow cooling, altering their microstructure. This improves their electrical conductivity and makes them more malleable for cold working. We offer metal heat treating services in various industries: automotive, aerospace, heavy equipment, firearms, industrial, rail, and tool and die. We are the only approved commercial company in the country for certain configurations for prime aerospace, and we bring this standard to all clients. With our experience and breadth of services, we are well positioned to handle your heat treatment needs. Find out more and end your search for metal heat treating services. Your satisfaction is guaranteed.